Located close to the Karol Bagh metro station and walking distance from the main Karol Bagh Market, Hotel De Gold is all set to provide you all the comforts within a budget. Must-visit places around are Cycle and Toy market, Charkha museum and Jantar Mantar. 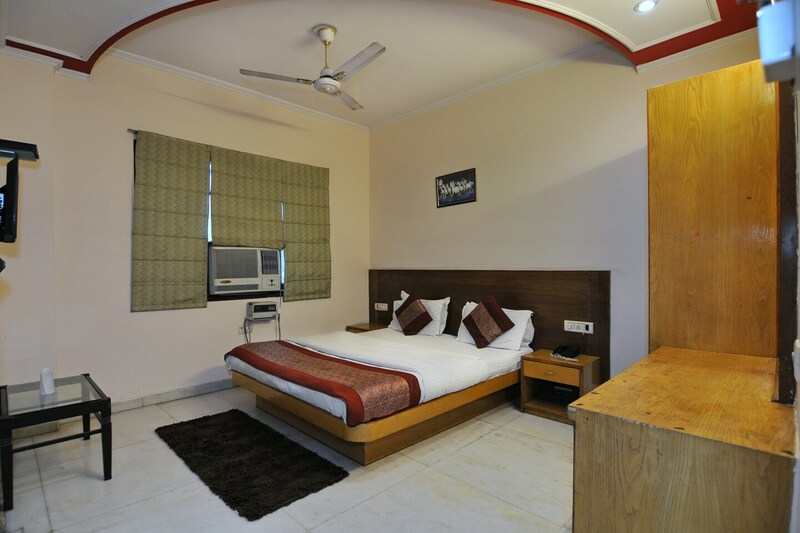 Hotel De Gold boasts of comfortable rooms with wooden interiors and clean hallways to make your stay homely. They have ample space for luggage storage too. The hotel provides free Wi-Fi, air conditioner, television, geyser and laundry service to all the lodgers. The area is full of popular and acclaimed eating joint which offer various cuisines.